Former United States intelligence community’s top expert on Nigeria, Mr Mathew Page, has said that the U.S. and the United Kingdom are the biggest recipients of funds looted from Nigeria. 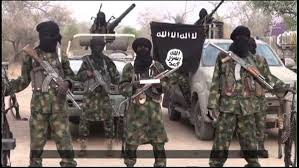 Page, a senior policymaker at the White House, State Department, Defense Department for more than a decade, stated this on Friday in Abuja at a roundtable organised by the Centre for Democracy and Development (CDD), a civil society organisation. His submissions were contained in a paper titled, “From Maitama to Mayfair: How International Financial and Property Markets Fuel Corruption in Nigeria’’. The guest speaker noted that current banking, property and corporate laws in the U.S. and U.K. did not only lack adequate safeguards, but were designed to facilitate illicit financial flows from Nigeria. “Nigeria’s kleptocrats deftly use both Nigerian banks and the international financial system, especially anonymous shell corporations and offshore tax havens, to launder stolen public funds and stash them overseas, often in the form of high-end real estate in London, Dubai, New York, and California. “Despite possessing robust discretionary powers, the US and UK rarely deny visas to corrupt officials or report cases of suspected corruption or unexplained wealth back to law enforcement agencies back home. “The UK is one of a small number of global financial centres that play a key role in processing substantial levels of corrupt capital,’’ he said. Citing Transparency International, he said an estimated 57 billion pounds was laundered within and through the UK in 2013 alone, representing 3.6 per cent of that year’s national real GDP. Page, a non-resident fellow with the CDD, described the London property market as highly vulnerable to corrupt wealth flowing into it. “If Nigerian kleptocrats are unable to visit their properties and spend their ill­gotten gains in luxury boutiques in London, Dubai, and New York, the incentives for off-shoring them, would likely diminish. 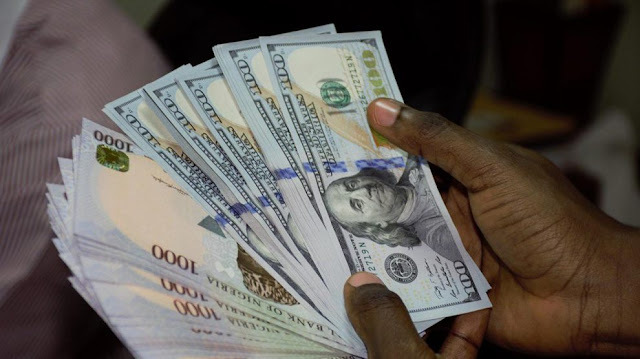 “There is no doubt that the readiness with which the UK, US, and other parts of the international financial system absorb illicit financial outflows from Nigeria compounds the damage corruption inflicts here. ‘’ He added that looted funds stashed overseas by politically-exposed Nigerians do more damage than those hidden or spent domestically. According to him, moneys laundered abroad“ put pressure on the Naira, raise property prices in London and are much more difficult for anti­corruption agencies to locate and recover’’. Page noted that the role played by the international financial and property markets in driving problem in Nigeria was a key aspect of the equation that was lacking in the corruption. To address the challenge, he made a number of recommendations, including elimination of secrecy jurisdictions to require beneficial ownership disclosure of companies and property. Page also called for enhanced funding for relevant law enforcement agencies as well as transition to financial independence for them The Director of CDD, Ms Idayat Hassan, said the roundtable was one of several contributions by her organisation to the anti-corruption war in the country. Hassan stated that the forum would produce feasible recommendations on how to prevent off-shoring of stolen wealth in Nigeria.